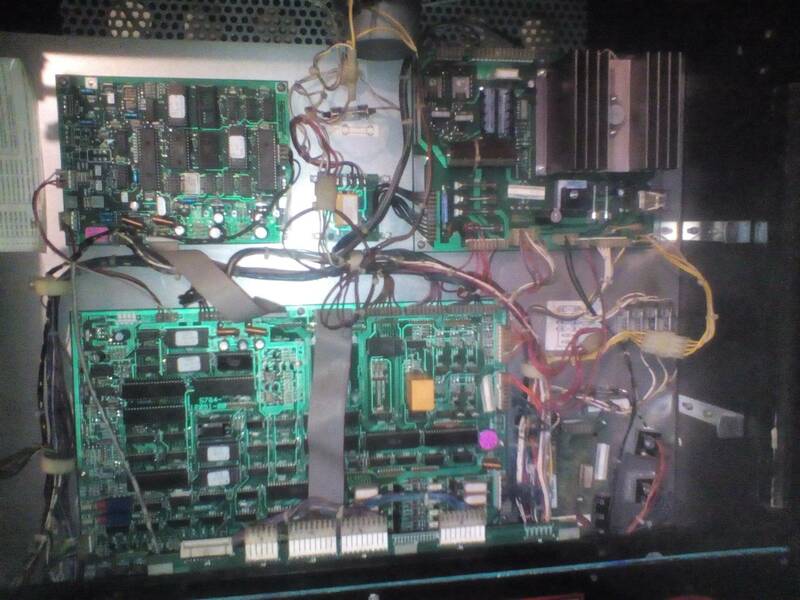 » Forum » Tech » Tech: Alpha-numeric » Williams Sys 11 No Boot - U45 placed in socket wrong direction! » Williams Sys 11 No Boot - U45 placed in socket wrong direction! Williams Sys 11 No Boot - U45 placed in socket wrong direction! Now The CPU boots with only the red 5v light on. Any help in tracing down this repair appreciated. Game has nvram, no acid damage. All fuses in the game are the correct value and not blown. Unplug everything but 1J17, and power the game on. Same issue. Picking up a logic probe today. No spare 6802 or PIAs on hand. I am kinda in the same boat here... I accidentally sent -100 volts down the +100 volts line to my displays, and let the magic smoke out of a couple of chips on my display board, and fried the 6821 at U41 on my MPU board. I dont have access to one. But Ill do some searching around. On the bright side... a large portion of the board is socketed, so I can pull and swap most spots. Well at a minimum you may have smoked u45. When you try to boot it, make see if the diagnostic light is blinking, this will tell you if it also took out the downstream PIA. If it is not blinking, it may be that the board is not booting at all. No diagnostic light or blanking light. only 5v. You are correct. The board is not booting at all now. After reviewing the schems, can someone confirm if Im correct to assume that u54 is the first PIA downstream? A system 11 is capable of at least showing a diagnostic blink code if a PIA is out. So no boot at all may indicate a deeper problem. You may want to start by pulling the game ROMS and going through the Worst case section of the link I posted above. Replace U45 and see what happens. Usually it only takes out the part installed backwards. SOLVED : Issue was with a tiny piece of solder slag that was on the back of the cpu board near the game rom. Removed and the game started up. 3. Ball shooter coil not connected. When connected, blows 2.5amp fuse near flipper relay instantly. (prior issue) Maybe a diode...? Going to order some replacement/backup chips for U44, U45, U50, U55 and U56 once I get a mouser list ready ready. Plan to start a new tread when i get ready to tackle the issues that are off the original topic here. Feel free to chime in with any feedback or ideas. Thanks Again!! Both issues #1 and #2 could be related to U55, as it is used in both circuits. I'd replace it. Issue #3 could could be the diode, but if it is blowing instantly, It is more likely the drive transistor on the MPU is shorted out.